A native Atlantan, Julie Gerhardt’s musical endeavors include both performance and teaching. Julie holds positions in the Columbus (GA) Symphony Orchestra, the Valdosta Symphony Orchestra, and the Albany (GA) Symphony Orchestra and has served as a substitute or extra hornist with orchestras throughout the Southeast, including the Atlanta Symphony Orchestra, LexPhil, Knoxville Symphony Orchestra, and the Charleston Symphony Orchestra among others. Julie is also a member of the Cobb (GA) Wind Symphony, having performed with the CWS at the Midwest International Band and Orchestra Clinic in 2003 and 2018. Additionally, Julie has been a finalist for positions in the United States Army Field Band, the Atlanta Ballet Orchestra, the Asheville Symphony Orchestra, LexPhil, the Chattanooga Symphony Orchestra, and the Huntsville Symphony Orchestra. Since earning her undergraduate degree in instrumental music education from Indiana University in 2001, Julie has served as a middle school band director, marching band technician, horn instructor, and music theory professor. Now, in her role as a horn evangelist, Julie maintains a thriving studio of private horn students and works as a horn section coach for middle and high school band programs in the metropolitan Atlanta area. Performance experience during college with both Star of Indiana Brass Theater and the Cadets Drum and Bugle Corps gave Julie the foundation for an ongoing relationship with music in motion. In 2006, Julie was an inaugural member of Star United, helping to begin their championship reign on the mini-corps stage of Drum Corps Associates. 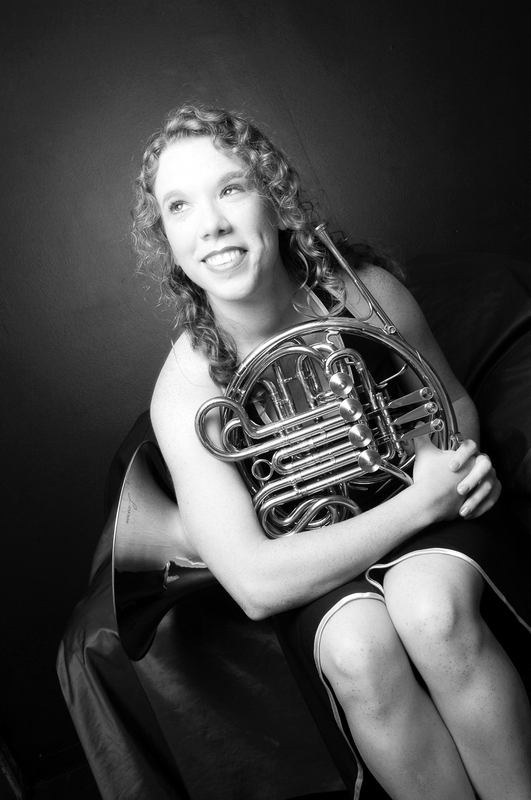 Julie was highlighted in 2007 as SU’s mellophone soloist but has since retired from mellophone performance, limiting herself to rare renditions of Kopprasch’s first etude, exclusively in the key of E-flat. Julie’s graduate study took her to the University of Georgia, the University of New Hampshire, and back to her undergraduate alma mater, Indiana University. Julie earned the Master of Arts in Music: Music Studies at UNH in 2010 and the Performer Diploma at IU in 2012. Julie attended the Kendall Betts Horn Camp in 2006 and 2007. Her first year on KBHC staff was 2009, she was the camp’s associate operations director in 2017, and she’s been the operations director since 2018. Julie’s primary teachers include Michael Hatfield, Myron Bloom, Dr. Jean Martin-Williams, Richard Deane, Kendall Betts, Rick Seraphinoff, Dale Clevenger, and Jeff Nelsen.